The University of Sydney's Institute for Innovation in Science and Mathematics Education is holding a Forum on Preparedness for First Year Mathematics today for staff from universities across Australia to share their strategies for dealing with the issue. "It's really important for lecturers from different universities to share tactics for dealing with students who start university without enough of a background in mathematics to cope with their mathematics and science courses," said Associate Professor Manju Sharma, Director of the Institute for Innovation in Science and Mathematics Education. "If we work together, we can have systematic improvement rather than forever reinventing the wheel," said Associate Professor Sharma. "The problem of students not choosing high enough level mathematics or even choosing not to study senior mathematics at all at high school is widespread and increasing. There are a number of reasons for this trend, including there not being enough adequately trained maths teachers in high schools, and more maths teachers retiring than new maths teachers entering the system." Australia needs increasing numbers of graduates with mathematical skills and a greater number of university courses require quantitative skills, so the decreasing numbers of students choosing high level mathematics courses in senior high school is a worrying trend. 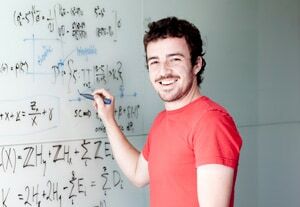 Associate Professor Leon Poladian, Convenor of the Forum on 15 February and an award winning lecturer in the School of Mathematics and Statistics at the University of Sydney, said, "Regardless of students' initial state of preparedness in mathematics, we ensure our science students become mathematically literate by making first year mathematics compulsory at the University of Sydney." "To make this work, we run bridging courses and offer our first year mathematics at five levels: introductory, fundamental, normal, advanced and special studies program for gifted students." The forum will allow academics from around Australia from at least 15 different universities to share current practice and openly and frankly discuss problems and common issues. "Sharing information is part of the standard process of scientific research, so it's appropriate that we apply this method to our teaching practice too. By overtly examining which methods are successful in combating this issue, we avoid making decisions on the basis of passing fads, short term fiscal constraints or the whims of senior administrators," said Associate Professor Poladian. The forum will start with an opening address by Professor Trevor Hambley, Dean of the Faculty of Science and Professor Robert Tierney, Dean of the Faculty of Education and Social Work, at the University of Sydney, talking about the issue from a strategic perspective. Professor Jacqui Ramagge, from the University of Wollongong, will present the keynote address on current patterns of mathematics study in Australian high schools. Dr Shaun Belward, from James Cook University, will follow, presenting on quantitative skills in science and curriculum models for the future. The Forum will include snapshot presentations from 16 Australian universities and workshops on key issues and strategies. Associate Professor Manju Sharma said, "It's so important that we get this right across Australia to combat falling numeracy skills. Mathematical literacy is required for all modern citizens - it helps us understand matters to do with health, education and decisions about climate change."